In a large bowl, mix flour, brown sugar, and baking soda. Make a well in the center of the flour mixture. Combine eggs and vanilla; pour into the center of flour mixture. Stir in the evaporated milk and mix until dough is thick and sticky. 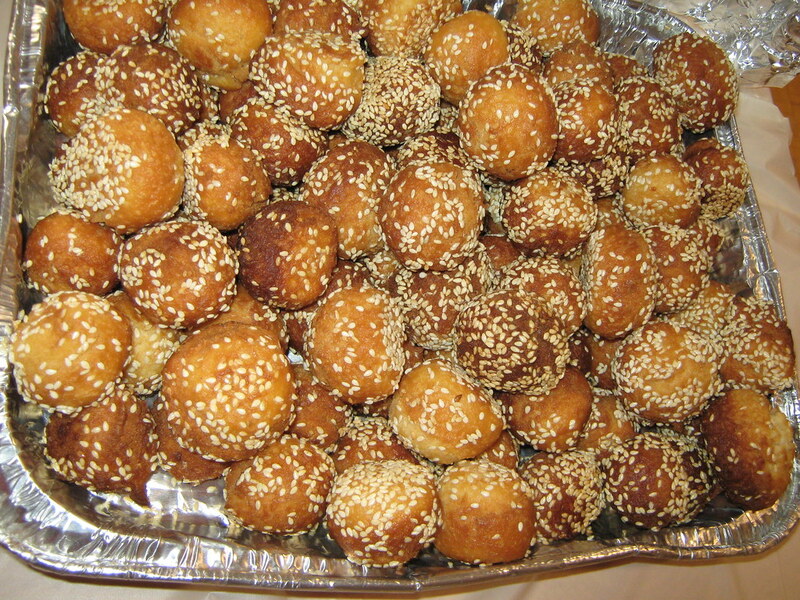 Dampen hands with vegetable oil and shape dough into 1/2-inch balls; roll in sesame seeds. Heat oil to 325°F and deep fry until golden brown; drain. Makes 2 1/2 dozen balls.